Gov. Susana Martinez announced today that she will accept an expansion of Medicaid that will provide access to the government health insurance for as many as 170,000 additional New Mexicans. Currently, in New Mexico adults who earn up to 33 percent of the federal poverty level — or just under $3,700 a year — are covered under Medicaid. The expansion means individuals earning between that and $15,400 – 138 percent of the federal poverty level – would qualify. Martinez’s announcement has been much anticipated and comes days after New Mexico In Depth’s Deborah Busemeyer took a look at what Medicaid expansion would mean for New Mexico. “We have an obligation to provide an adequate level of basic health-care services for those most in need in our state,” Martinez said. 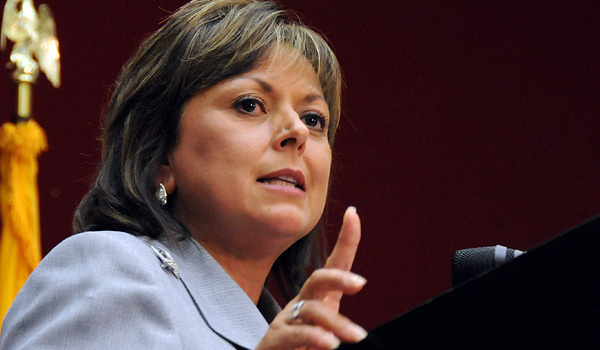 Susana Martinez has loomed large in the Roundhouse during her first two years as governor. New Mexico In Depth, in partnership with the Santa Fe New Mexican and Las Cruces Sun-News, examined what she had done and what was in store for the rest of her term in advance of the legislative session that started Jan. 15. In less than 10 months, New Mexico must be able to enroll residents in a virtual marketplace called a health exchange, a cornerstone of the nation’s health care law.